Is the prompt relay of landing telemetry by the MarCo cubesats to Earth really a “first”? The MarCo cubesats travelled from Earth to Mars alongside InSight and relayed signals from InSight (UHF) to Earth (X-band) during it's descent and landing on the surface of Mars. In the past, spacecraft were only able to transmit back to Earth simple tones during a landing. Those tones would change for major milestones, such as parachute deployment, the firing of landing rockets or touchdown. This time, as InSight team member Christine Szalai called out altitudes from the control room in the Jet Propulsion Laboratory in Pasadena, she was reading off actual data from InSight's onboard radar. It was live play-by-play, bearing in mind that the radio signal from Mars took approximately eight minutes to reach Earth. Is this really the first time that descent and landing radar or other telemetry from one deep space craft has been relayed to Earth in promptly (not store and forward later) by a second deep space craft? Or is this this just the first time this has been done with a secondary payload cubesat or smallsat much smaller than the lander? Or is not really a first at all? No. Odyssey provided bent-pipe relay data during the Curiosity landing. Not the answer you're looking for? Browse other questions tagged communication insight marco-cubesats or ask your own question. First interplanetary launch from California, why the initial polar orbit? How can the two MarCO cubesats remain reliably close to InSight during their six month trip to Mars? First interplanetary launch from California! How far from Earth will InSight be when it separates from the Centaur 2nd stage? MarCo, Polo? 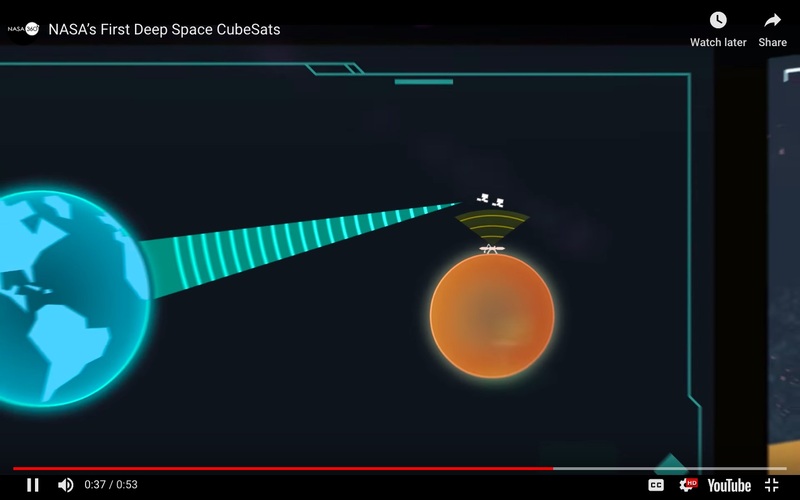 Any further news, or images, or transmissions from the MarCo deep space cubesats? Why will radioastronomy telescopes be used to listen to InSight's entry into Mars' atmosphere instead of DSN? How could InSight's seismometers be intentionally and meaningfully “pinged”? Why is InSight's nylon parachute a “soft good”? Why was MarCO-B CubeSats flying away after InSight landed? 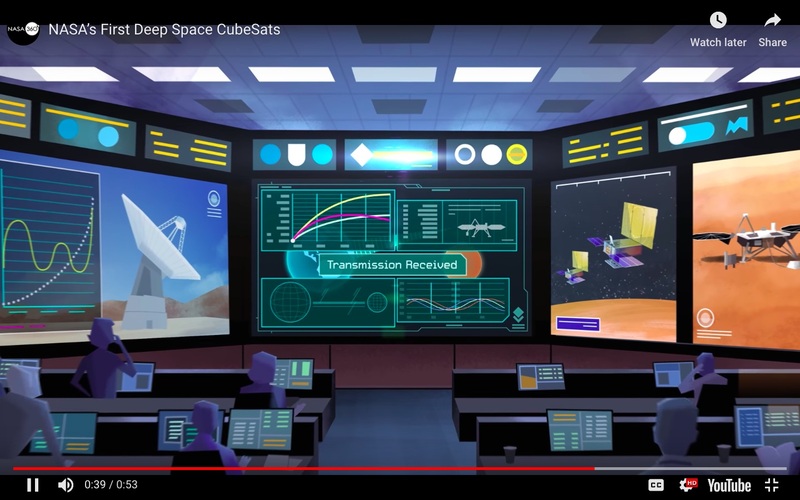 Is Quantum Entanglement technology possible for interplanetary communication in future to achieve low real-time latency? Have all of InSight's engines/thrusters been permanently disabled now that it has landed?